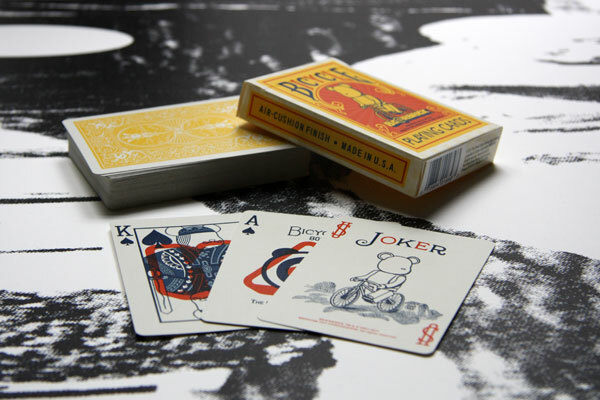 A new colaboration between BE@RBRICK and Bicycle Playing Cards (est. 1885). Full deck of playing cards *bearing* a lovable Be@rbrick character on each one.